Clocks. Wealth. Lava lamps. Mattresses. What, no correlation? 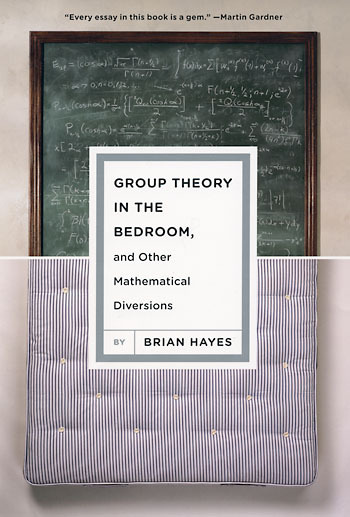 You should read Group Theory in the Bedroom by Brian Hayes. This books covers eleven essays published in American Scientist and one published in The Sciences. Very neat is that Brian Hayes appended a section called Afterthoughts on the end of every essay where he reconsiders the statements and adds information from letters to the editor. I don’t want to reveal you too much information. If you are interested in mathematics and computation, go and buy the book (or if you are miserly you can read the essays online).